12-12-13 on I 605 north. Toyota private fleet--Toyota has two fleets at the same address in Torrance CA--One is Car haul and the other Parts delivery--This unit with the two axle tractor is most likely from the Parts delivery fleet. The "Gray Goes Green" truck made it all the way to LA? Thanks by the way for getting the Shot A Day pictures; I for one haven't been able to get out much during the day and even when I do it is dark and dreary. 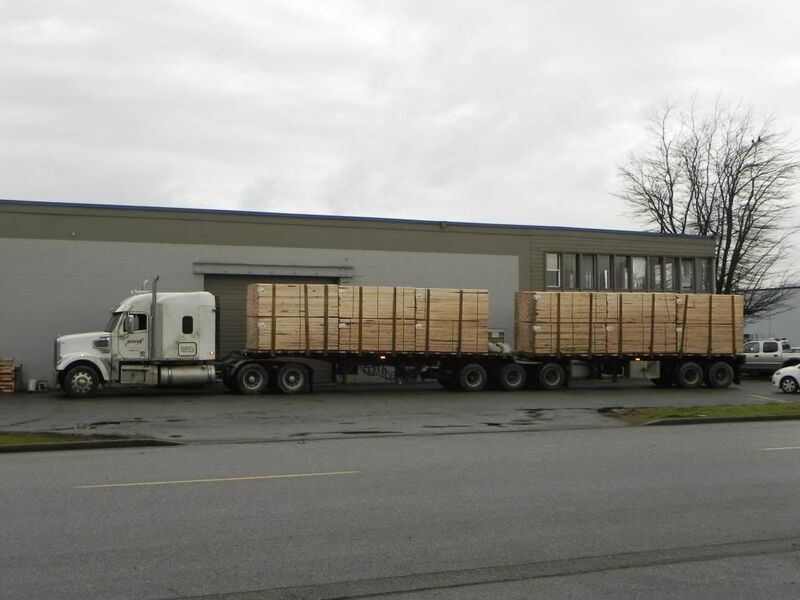 The 14th day of Dec, a 2nd gen Coronado B-train laden down with boards must be getting some work done to his unit as this place has no room for lumber!! Shot in Langley! 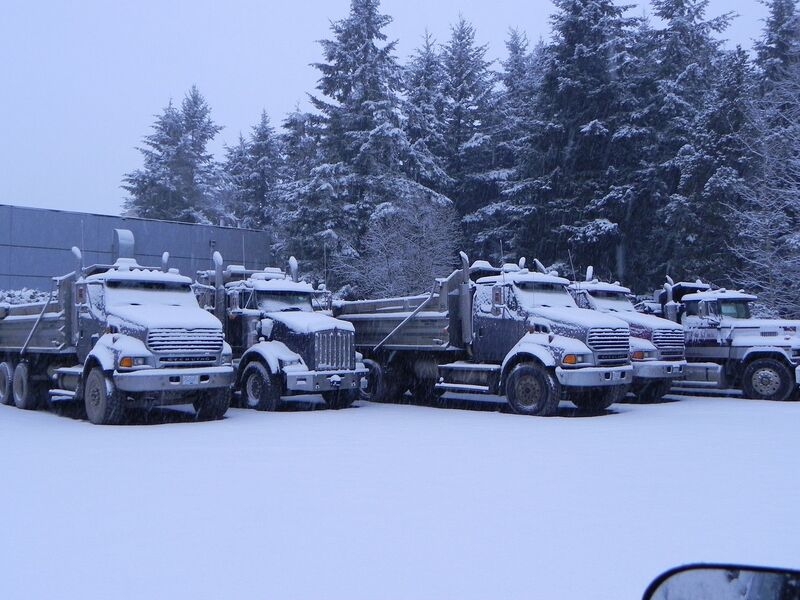 It snowed on Saturday but by Sunday afternoon two container haulers from MTMX are fueling up in preparation of another trip to New Jersey. I don't like to post two days running but I thought this truck has such a COOL NAME I just had to share. Cool eh; don't ya think? Hauling on North Queen Street in Toronto. 12-17-13 Big Rig Tow--Peterbilt heavy duty recovery vehicle on I 605 north. The graphic indicates that they have a contract to remove wrecked and disabled vehicles from the freeways. 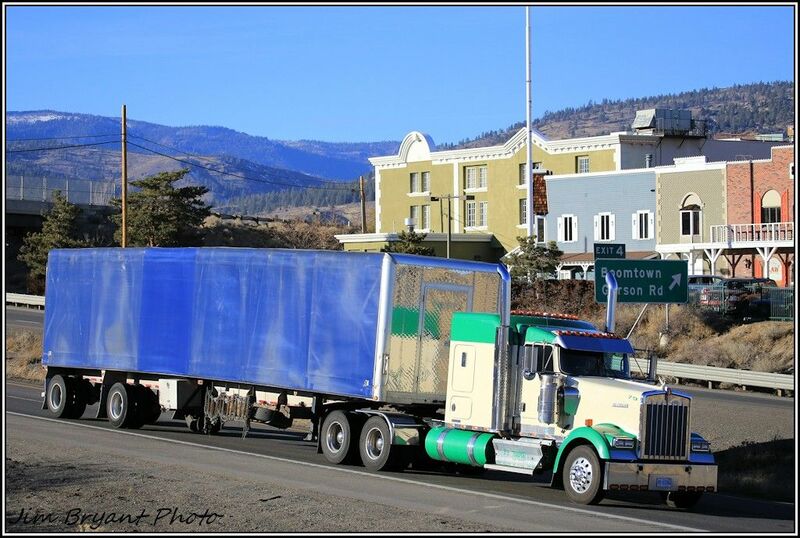 The Fed-Ex Cascadia is bob tailing in the adjacent lane. It was sunny today so I took a chance going truck spotting. It was a little frustrating because with my recent surgery my vision is not clear. But I took a few dozens pics and this FLB made my day. The truck is owned by a local operator and it seem to be a one truck company. 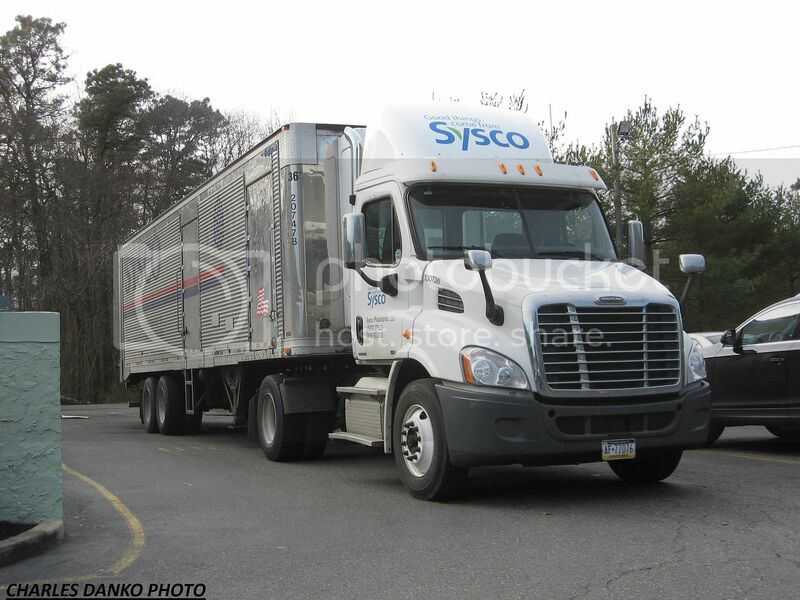 FL Cascadia from Sysco Philadelphia delivering to a restaurant in Barnegat NJ on Thursday December 19 2013. Dec 20, WE GOT SNOW!! All of 4" by noon and it turned to rain, probably be gone by tomorrow! A group of dump trucks sit idle in honor of the event!!! 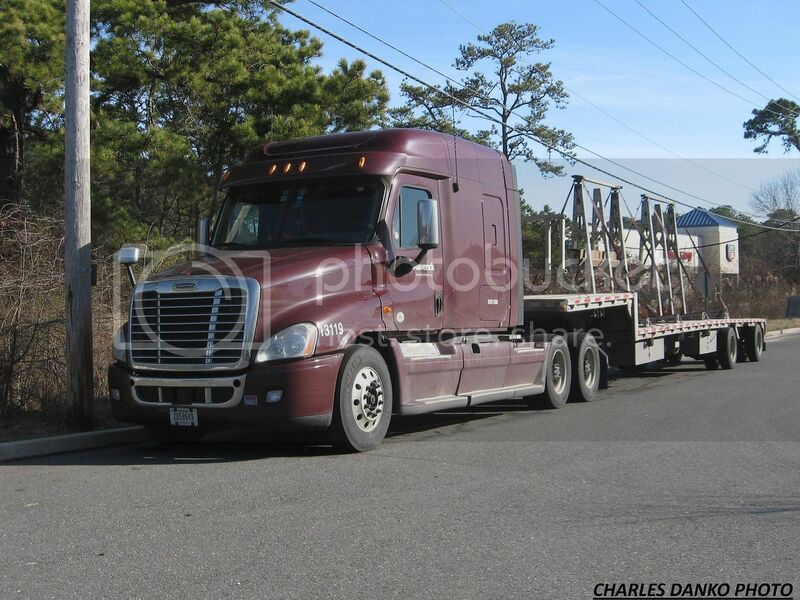 Just a bit different from yesterdays pic by JJG ........it's 63 and sunny here in Barnegat NJ on Saturday 12-21-13 as this Maverick glass hauler rests up from a busy week. 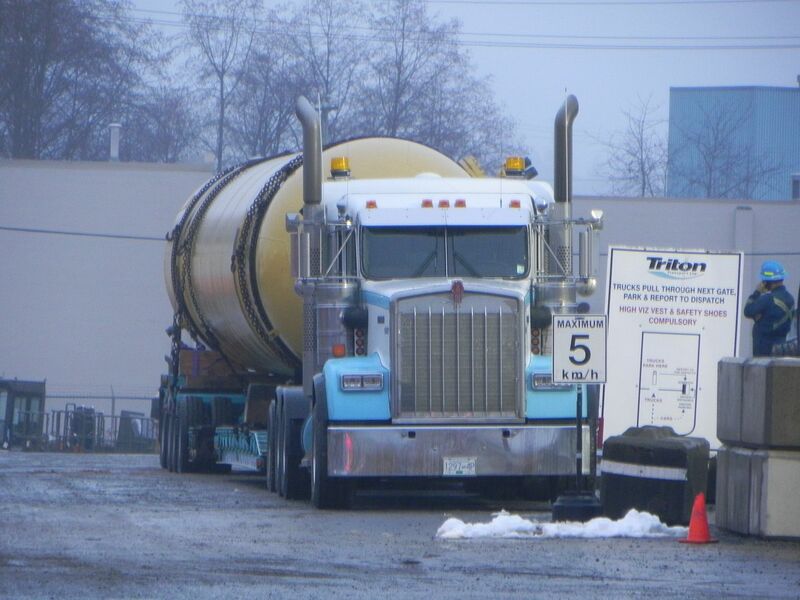 Dec 22, almost the shortest day, a Triton KW 900L is all loaded up for maybe Monday, or maybe next year. Excellent Jimmy, just looking and did not take a photo today and you came to the rescue!! First time I've been out since I started my "mock retirement." Got to get out for a couple of hours, hoping to get out tomorrow too. Also, they need me at the job for a couple of days after Christmas. Then the next week they want me to work the WHOLE (except N. Years) week. Told them yes to the two days, don't know about next week.